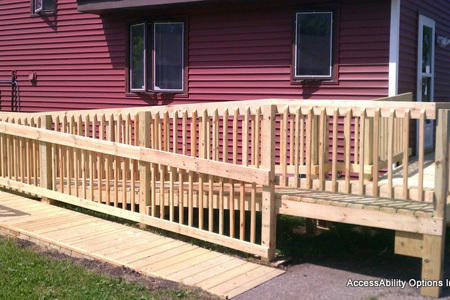 Most of our ramps can be dis-assembled to be moved/removed based on your needs. 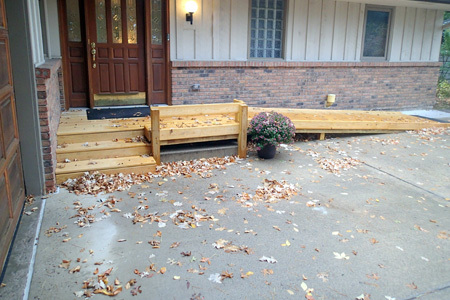 Aside from superior construction, what sets our ramps apart is that they are not so steep that they are unsafe.. We follow the current safety codes of a 1 inch rise in steepness per 12 inches of length or 1:12. For your safety, we advise you to demand this of whoever constructs your ramp. 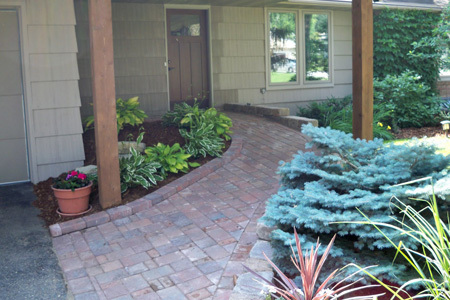 For those using walkers and canes, long-tread low-rise steps are a great option. The larger level surface of these stairs help to maintain balance and the riser’s shorter height make moving up/down the stairs easier. 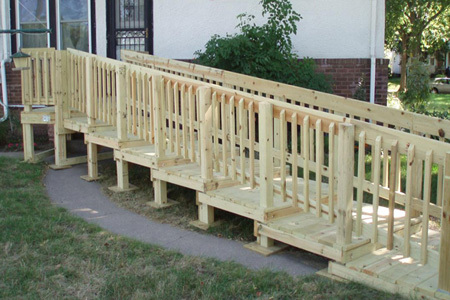 As with modular ramps, these stairs can be dis-assembled to be moved/removed based on your needs. 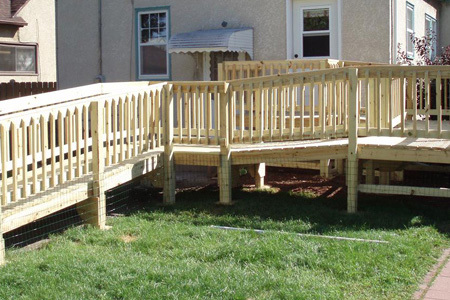 We work with an extensive network of suppliers that provide safe and durable portable ramps. 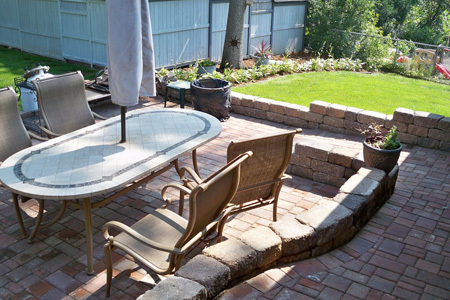 Suitcase (fold out) ramps allow you to bring an access ramp with you wherever you go. Threshold adaptors are portable, smaller ramps which can be raised and lowered to allow you ease of access through any door threshold. 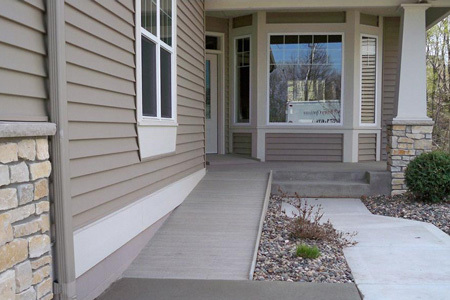 Initially created as a result of the ADA Act, public sidewalks require a sloping grade on curbs or curb cuts which allow for ease of movement of persons with all abilities. 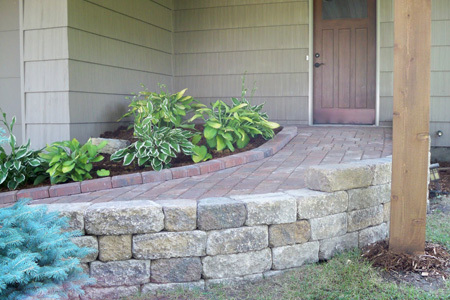 We can create such a cut to an existing curb so that you may safely move from street to ramp to your home.